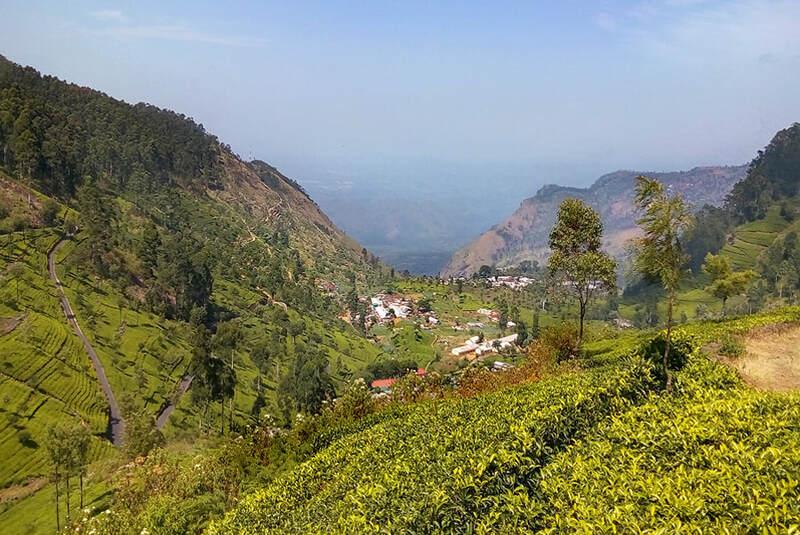 Haputale, perched on the southern range of Sri Lanka’s highlands, is famous for Lipton tea and for spectacular panoramic views to two different directions. Both attractions, Lipton and panorama, are interrelated, as we will see. Haputale is a “double vantage point”, because it clings to a long, narrow mountain ridge. The ending “-tale” of Sinhala place names refers to a plateau or mountain saddle. And that’s what Haputal is indeed, a town situated in a elongated mountain pass, with the land falling away steeply to the north and south and with higher mountains flanking it to the east and west. On a clear day, the harbour of Hambantota can be seen from this ridge to the south and Pidurutalagala, Sri Lanka’s highest montain, to the northwest. A CNN documentary named Haputale as one of Asia's most overlooked destinations. Besides being an attraction in itself, Haputale can serve as a holiday base in the cool climate of the highlands for excursions to the southern lowlands as well as to the highlands. Gem city Ratnapura, Udawalawe National Park, the rock-cut Buddha statues of Buduruwagala, Bambarakanda, Sri Lanka’s highest waterfall, as well as Diyaluma Falls and Dunhinda Falls, the provincial capital Badulla, the moutain lofts of Ella, and Nuwara Eliya… all are within day-trip distance Apart from Nuwara Eliya, Haputale is the best place to arrange trips to Horton Plains National Park. Almost every afternoon, swaths of mist cling to the mountain range. Haputale, situated in an elevation of 1431 m above the sea level, belongs to Badulla District in the Uva Province. 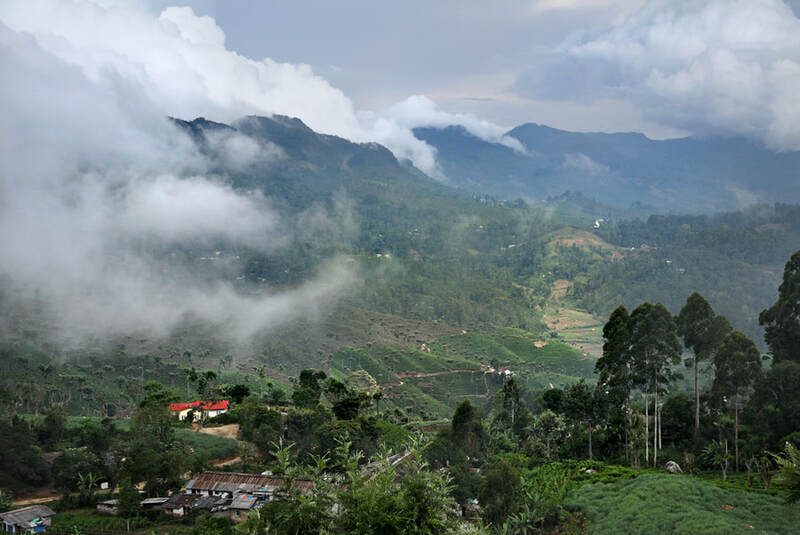 Uva is the name of one of Sri Lanka’s three largest tea regions, stretching from Haputale to Badulla. Haputale is surrounded by slopes covered with tea plantaions and hills covered with cloud forests. One way to discover this area is to travel by train. 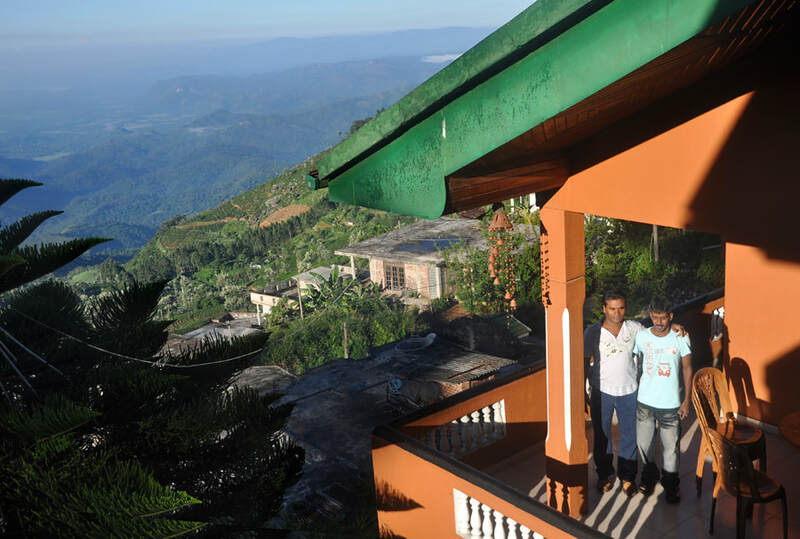 Haputale raiway station is located on the way from Kandy or Nanu Oya (Nuwara Eliya) to Ella or Badulla. 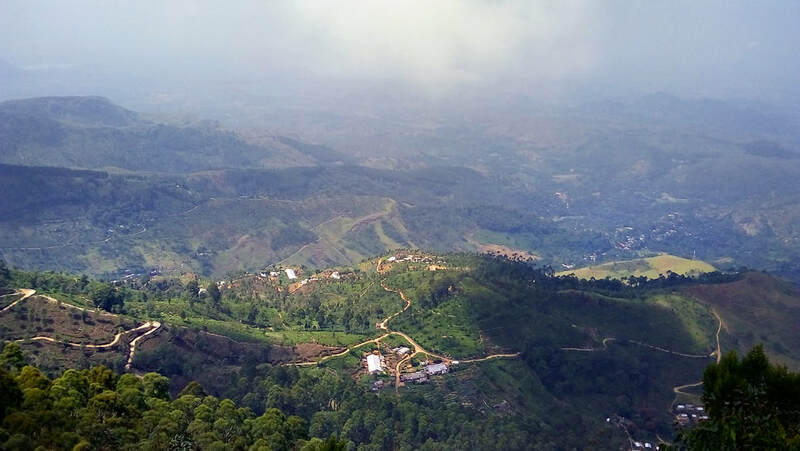 Haputale is the pass crossed by the Colombo-Badulla road (A16 highway from Beragala to Hali Ela) and where a side road to Nuwara Eliya branches off. Several guesthouses, some of them quite stylish, others with stunning views, invite to stay a night or two in Haputale, when travelling from the central highlands to the southern beaches. For example, Thotalagala is a luxurious but cozy boutique hotel with seven suites. It once served as an abode for tea planters. Thotalagala won the 2017 Condé Nast Johansens Awards for Excellent in the category of Best Destination Hotel. Haputale town is a relaxed little place with about 5000 inhabitants within the urban area. Due to its elevation, the climate of Haputale is cool, but usually not cold. 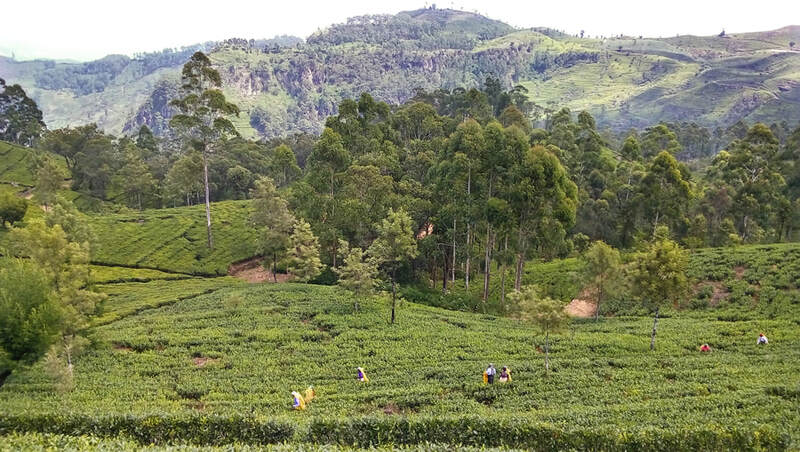 Although Sinhalese form the largest group in the urban area of Haputale and the majority in the surroundings, ethnic minorities play an important role in Haputale, Sri lankan Muslim and Tamil merchants as well as „Indian Tamil“ tea plantation workers. Adisham Monastery, 3 km outside Haputale town, was once a private villa. It was constructed as a large granite country house in the Tudor style by the British planter by Sir Thomas Lister Villiers in 1931. It’s surrounded by a well-kept English garden 4 hectares in size. Thomas Villiers was born in the parish hall of Adisham. Adisham, formerly Adesham, is a village in the county of Kent in the southeast of England. He was the grandson of the former British Prime Minister, Lord John Russel. But the impoverished young Thomas Villiers left England, when he was 18 years old, seeking adventures on the tropical island of Ceylon. He became a clark at Elbedde Tea Plantation in Bogawantalawa near Adam’s Peak. After marrying in 1896, he lived four year in Brazil. 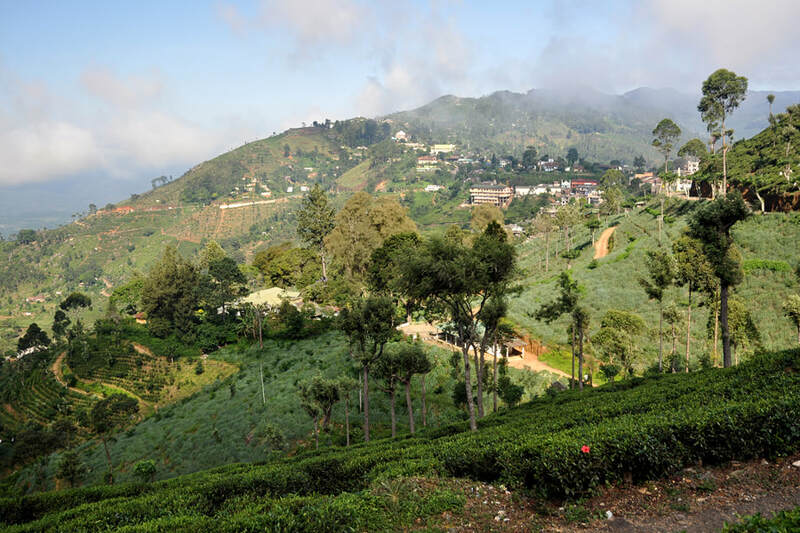 When returning to Ceylon, he established his own tea plantation, Dikoya Estate. He worked for a larger company in Colombo, too, and soon became a member of British Ceylon’s colonial upper class. Even the governor was among the illustrous guests in Villier’s remote holiday abode in the hill country. Villiers’ sense of nostalgia led him to import furniture, carpets and other antiquities such as porcelaine and silver from England. Wooden parts of the roof and stairs and floors, the doors, the window frames, the boardings are made of teak from Burma (Myanmar). Sir Thomas Villiers left Ceylon after his retirement in 1949 and died in Kent in 1959. 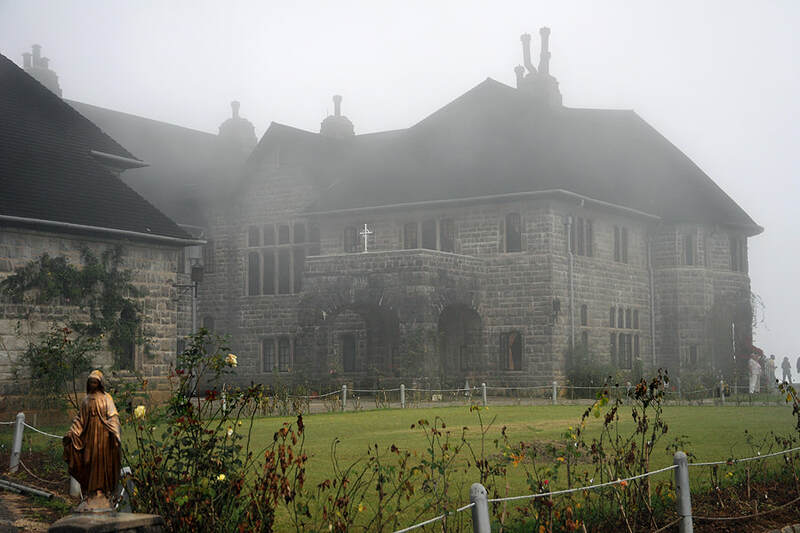 In 1961, Adisham Hall was purchased by the Roman Catholic Church and has subsequently been converted into a monastery of the Sylvestrine Congregation, which is a suborder of the Benedictine fraternity founded in the 13th century. The colonial buildings are pefectly well maintained by the catholic brotherhood. 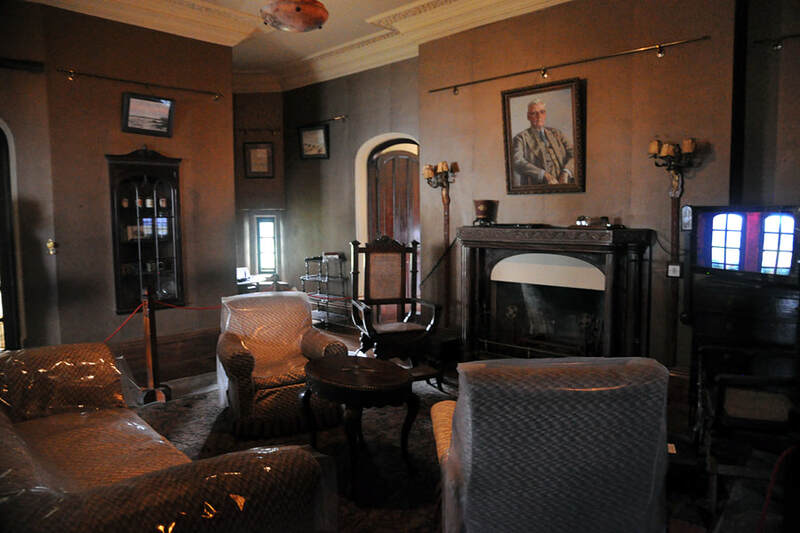 On Sundays and Poya Days, the former of Sir Thomas Villiers are open to the public. Visitors are allowed to enter the living room and the impressive personal library. 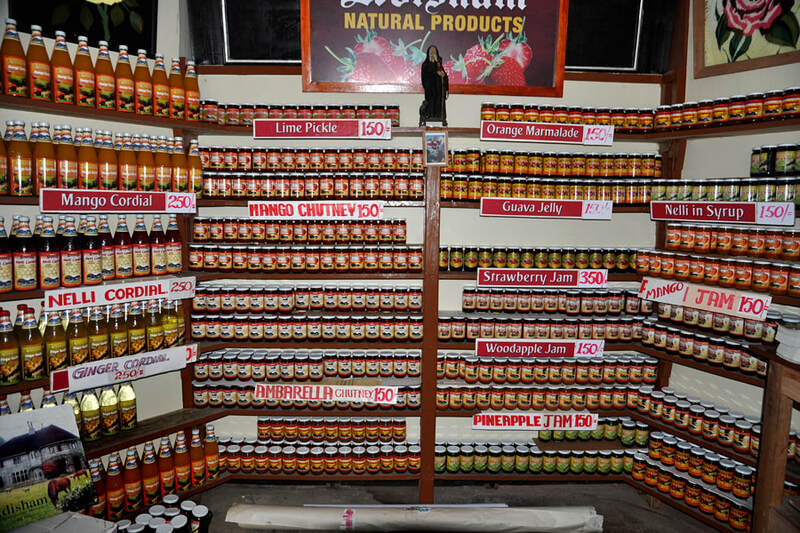 In the garden area, there’s also a small shop selling natural jams, jellies, cordials and chutneys produced in the Benedictine monastery’s own gardens and orchards. Eight kilometres west from Haputale is Indulgashinnam, also spelt “Idalgashinna”. It’s a tiny hamlet at the railway station of the same name. Situated at a height of about 1700 m, it is a mountain saddle similar to Haputale, offering spectacular views to both sides. But compared to Haputale town, Indulgashinna a much narrower ridge strip, This is why you can enjoy both magnificent views from the very same spot at the railway line in Indulgashinna. Xou can also climb a summit close-by to enjoy a 360 degree panoramic view. You can reach Indulgashinna walking alongside the railroad. It's totally normal in Sri Lanka to walk on rail tracks and not too dangerous, as trains are slow and using their horn quite often. The rail track walks from Haputale to Indulgashinna have one of the best views Sri Lanka has to offer. About five km to the south of Indulgashinna station are ruins of a rarely visited Portuguese fortress, the Kotugodella Fort, within the Needwood Tea Plantation. It’s situated at an elevation of about 1200 m. The Portuguese once tried to use Indulgashinna Pass to invade the Uva Highlands but failed to do so. Only a few scattered stones and outlines of ancient bastions survived. You can make a full daywalk alongside the railroad to Indulgashinna by combining this hike with a detour to the sparse remants of Kotugodella Fort and afterwards returning from Indulgashinna via Adisham, using a forest road behind Adisham instead of the railroad for the way back to Haputale. 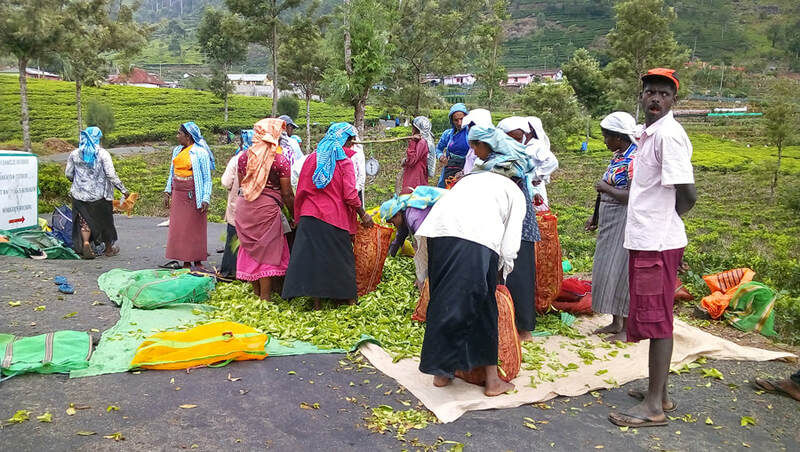 In the area of Haputale, 10 km east from the city, Dambatenne Tea Factory is tea processing center open to the public. Sir Thomas Lipton entered in to purchasing tea estates in Ceylon in the late 19th century. In 1890, Dambetenne was purchased by him. Sir Thomas J. Lipton was living on this estate, which was the largest tea plantation in the tea growing region of Uva. 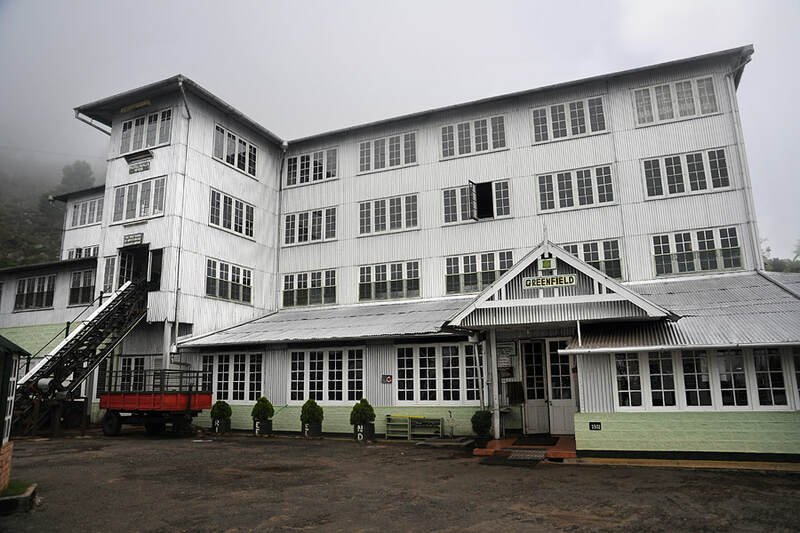 Some of Dambatenne Tea Factory’s original machinery is still in use, although the estate changed hands in the 1930s. 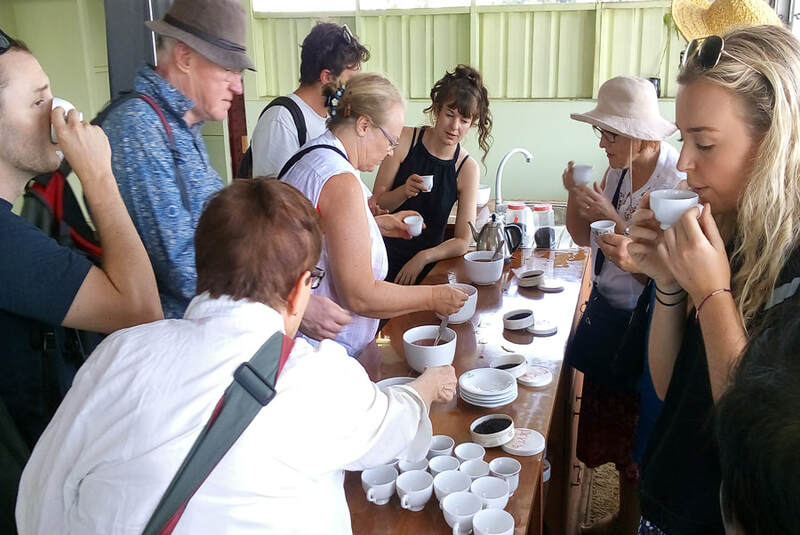 The entrance fee fo visiting the Dambatenne Tea Factory is not high. You have to wait until one of the workers is available to take you round and visit the upstairs rooms where the tea leaves are placed into machines for drying before going through the refining process, which takes place downstairs. Photos are usually not permitted, except from the upstairs room if permitted by the guide. By the way: Today’s Lipton-Tea ist not an Uva-Tea from Dambatenne in Sri Lanka but a blend of 20 to 30 tea varieties from various parts of the world, Kenya in particular. Sir Thomas Johnstone Lipton, appointed 1st Baronet, was a Scotsman of Irish origin who originally established a chain of grocery stores in the United Kingdom. He claimed to sell best goods at cheapest prices. The Liptons had been smallholders in Ulster till the late 1845, when the Irish potato famine forced them to leave the country. Soon after they settled in Glasgow, Thomas Lipton was born about 1848, although the records are not clear. In the early 1860s his parents owned a small shop. Thomas Lipton left school early to find a job to support his parents. In 1864 Lipton served as a cabin boy on a steamer running between Scotland and Belfast. He saved some money and used it for a voyage to America, where he spend several years, working here and there. In 1870, he returned to Glasgow and opened his first own grocery, the Lipton's Market. Soon he managed to establish an entire chain of stores in Scotland. When tea prices were falling due to increased tea production in India and Ceylon for the British market, the demand in Britain was growing among the middle class, Lipton’s main customers. In 1888, when his chain had grown to 300 stores, Lipton decided to enter the tea trade. Bypassing any intermediaries by establishing his own production and trading and wholesale distribution, his Lipton tea brand managed to sell tea of comparatively good quality at unprecedented prices. His catchy advertising slogan was "direct from tea garden to tea pot”. Lipton visited the then British crown colony of Ceylon in 1890 and spent some time in Haputale before returning to Britain, where the self-made man became a celebrated member of the upper class, a world-class sailor and highly engaged in charitable activities. He died in 1931 in Scotland. Lipton Tea today is a subsidiary of Unilever. Lipton Seat is considered to be the number 1 attraction of the Haputale area. It’s located on the Poonagala Mountain of Dambatenne Tea Estate. 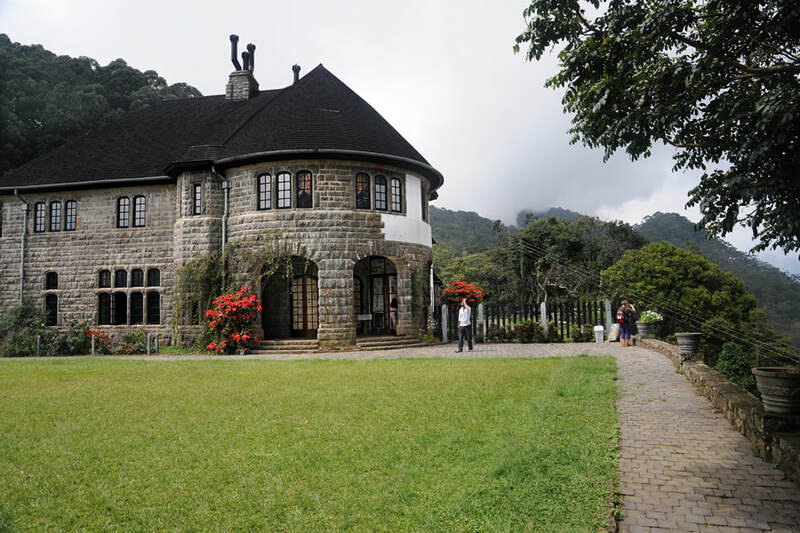 Sir Thomas Lipton, the founder of the company of the same name, fell in love with Haputale because of its spectacular view and established his tea estate close to it. There is a specific vantage point near Dambatenne which Thomas Lipton liked most of all. He used to spend a lot of his spare time at this place. This is why it’s now known “Lipton Point” or “Lipton’s Seat”. It became a quite popular destination for a 7 km hike uphill from Dambatenne. But it’s also accessible for threewheelers or jeeps. 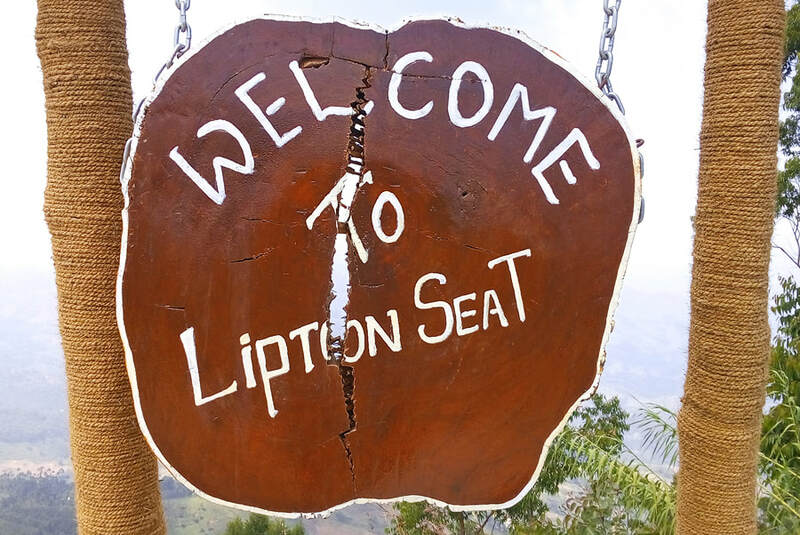 Lipton's Seat is situated in an elevation of 1970m above sea level. Perfectly clear weather conditions provided, you can see the south coast from here. Be aware, Lipton’s Seat is covered with mist most of the day, particularly in the afternoon. The best time to visit the viewpoint is the early morning. Samimale Rock Temple has an excellent view to Lipton Seat. Little-known Surungamuni Point too offers bird-eyes-view over Haputale town. This vantage point is located at a Hindu shrine dedicated to the local god Surungamuni and to Lord Shiva. 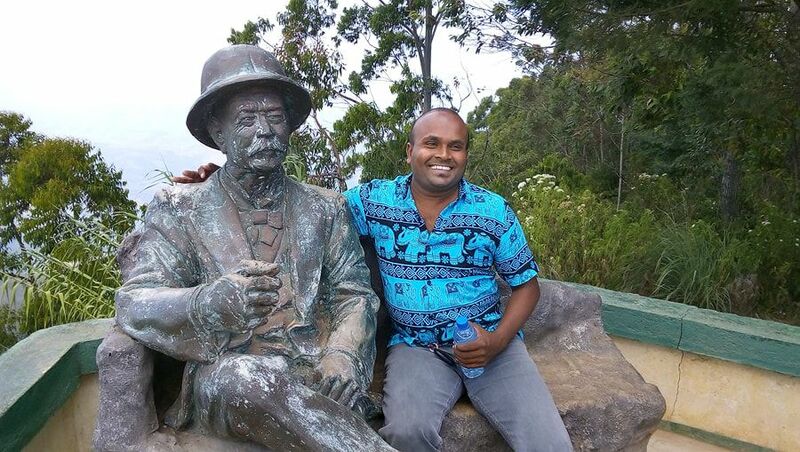 Pilkington Point is another vantage point, it’s located between Haputale and Bandarawela. Sir Pilkington was the first manager Poonagalla Group. At the slopes to the north of Haputale, in only 2 km distance, lies a rarely visited cave temple called Kande Vihara. It has painted walls inside the main shrine. Like many other highland temples, it claims to be founded King Walagamba in the 1st century B.C. A rock is the focal point of the temple: At its entrance is a pool with a small waterfall.